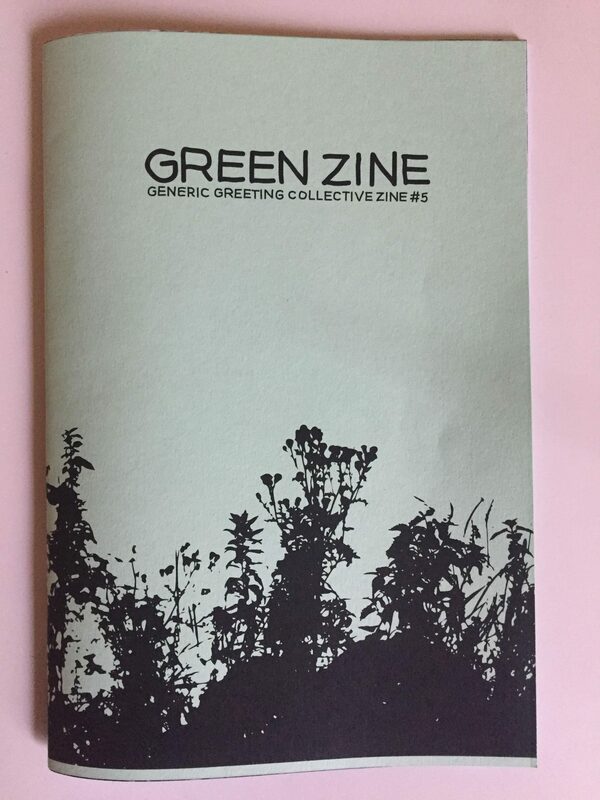 Zine #5 looks back to our first two zines, showcasing work from the widest array of artists of any of our publications to date. Featuring illustration, photography, collage, film stills, and poetry, from: Dzekutis, Raquel Lowsley, Tash Willcocks, Alex Macdougall, Emily Briselden-Waters, Calum Brodie, Lulu Heal, Will Berry, Joey Frances, KIDMILK, Matt Rowlands, Stan Platford, Eilis Healy, Harry McKenzie and Rachel Dargavel-Leafe. Design by Will Berry. Cover image by Matt Rowlands. Black and white, with green cover. Staple bound. A5. 27pp. 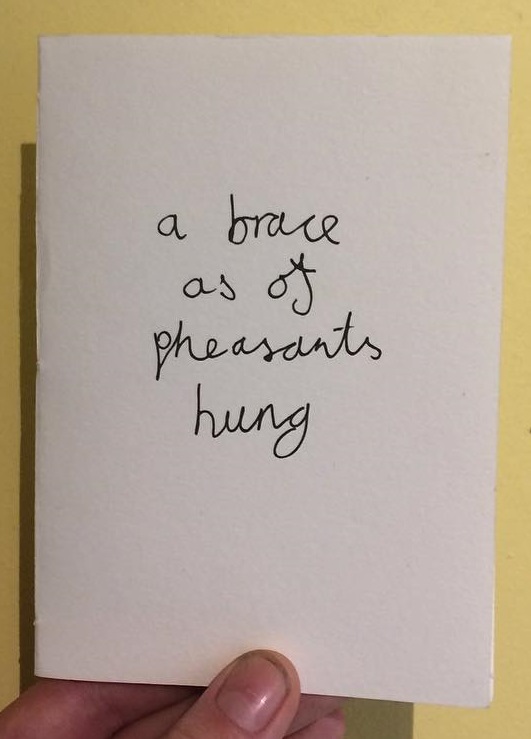 Poetry pamphlet by Joey Frances, in collaboration with hateself. A short tercet sequence. Edition of 20. Hand numbered. Black and white. Hand-sewn. A6. 11pp. Produced for Manchester Beer Week, the Brewtopia zine features illustration and photography, collaged and interwoven with a single poem, all thinking through or playing with representations of our relationships with beer, past and present. Featuring artwork from Esme Rees, KIDMILK, Harry Mckenzie, Lulu Heal, Jack McConnell, Calum Brodie, Will Berry, Rose Miller, and Raquel Lowsley, with poetry by Joey Frances. Designed and edited by Raquel Lowsley. Cover by Raquel Lowsley. Black & white, with yellow cover. A5. 23pp. This was new departure for us. 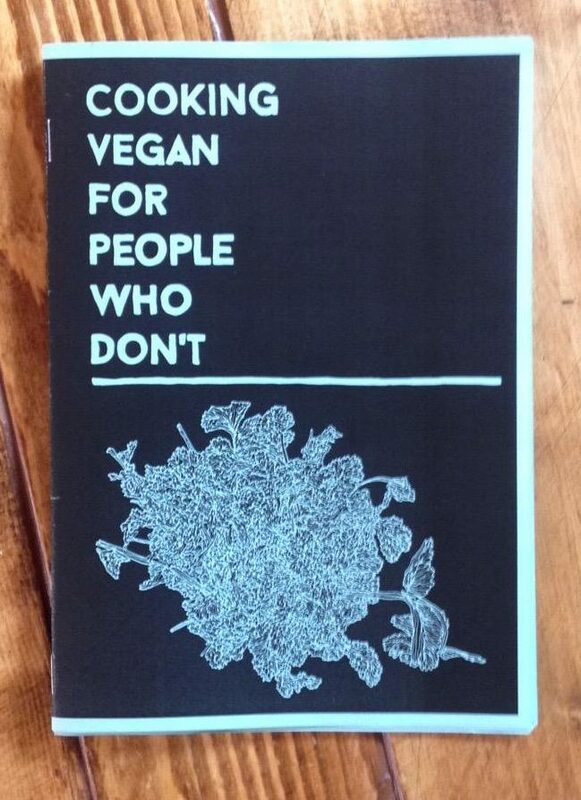 The first - though we hope not the last - of our zines thinking about food, Cooking Vegan For People Who Don't consists of a collaboration between Ava Szajna-Hopgood and Will Berry. Ava wrote interviews, recipes, and articles dealing with cooking, eating and thinking about vegan food in a way that aimed - as the title suggests - to be accessible to those who aren't already in the know. This was complimented by Will's illustrations and design. Recipes include: pesto, green rice, mac and cheese, pasta sauces, pad thai, refried beand with farm-style potatoes; plus interviews and features on other vegan writers and venues, and much more. Black on blue paper. Staple bound. A5. 23pp. 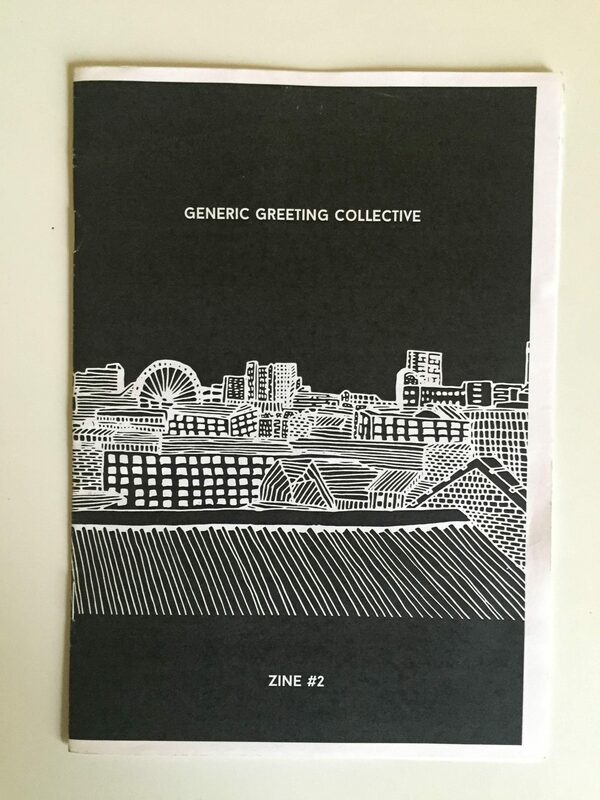 Generic Greeting Collective Zine #2 works as a direct follow on to the previous zine, with no uniting theme besides the aim to showcase new work from our ever expanding array of artists. 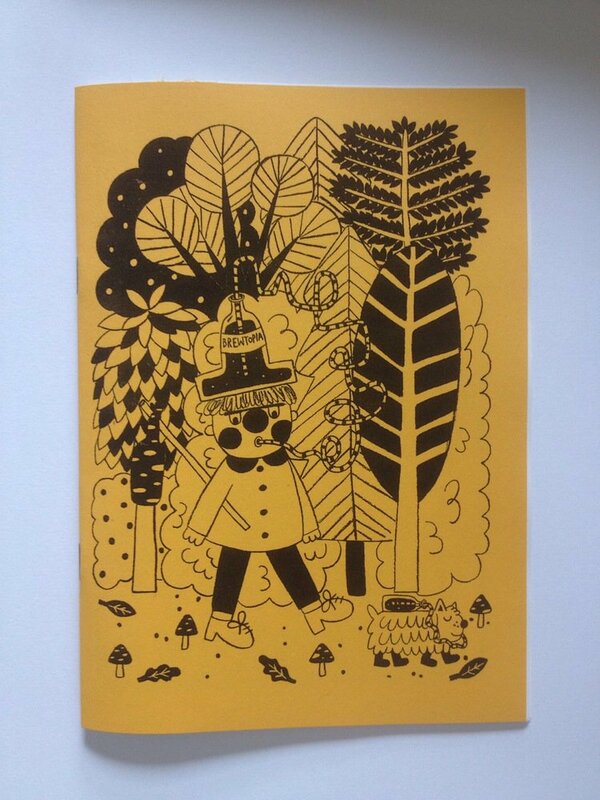 Featuring illustration from Calum Brodie, Will Berry, Harry Mckenzie, KIDMILK, Lulu Heal and Tash Wilcocks, plus photography from Alex Macdougal, and writing from Florence Platford and Joey Frances. Design and cover illustration by Will Berry. Black and white. Staple bound. A5. 15pp. 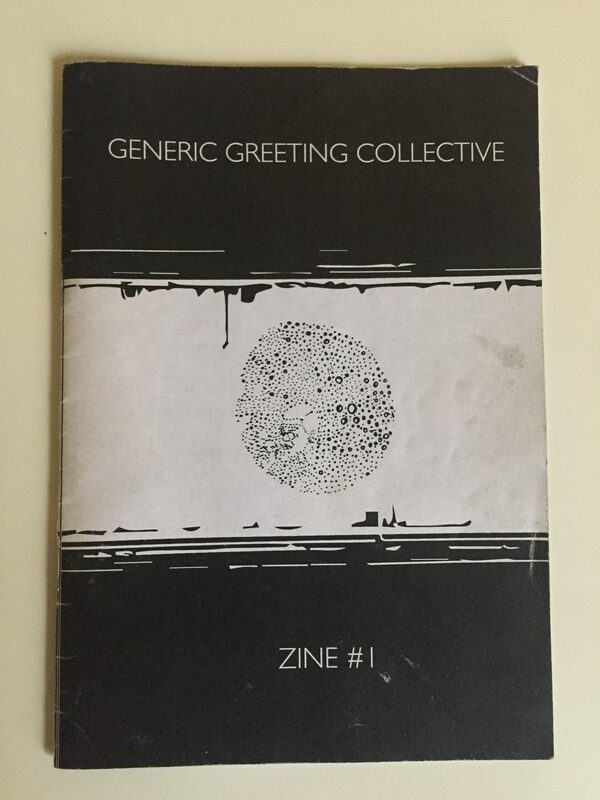 Generic Greeting Collective Zine #1 was the first publication which we put together, aiming to showcase the work of all the collective's members at that time. It features: illustrations from KIDMILK, FREnchfire, Will Berry, Dan Kimber and Liam Healy; photography from Alex Macdougall; an essay by Florence Platford; poetry by Joey Frances; and paratextual material to a film by George Haydock. Black & white. Staple bound. A5. 19pp.